The startup from Bruchsal is receiving support from the Singaporean traffic ministry, the civil aviation authority CAAS and Singapore’s authority for economic development for the venture. Together with the CAAS they will define the scope of the flight tests and prepare the aircraft for the expected regulatory and technical requirements, as well as the infrastructure. 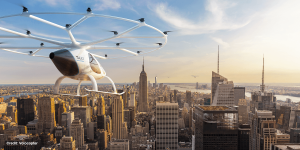 Volocopter received a provisional traffic permit from the German government in 2016, and has been working closely with the European Aviation Safety Agency (EASA), from whom the company is hoping to receive an official commercial permit. Volocopter regularly flies in Germany, and has performed several public demonstration flights, as well. In September of 2017, the company performed an unmanned test flight in Dubai. 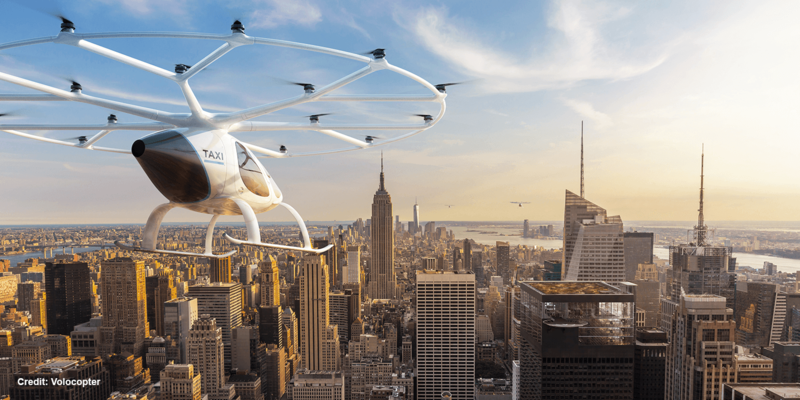 The company uses technology based on drones to steer their electric VTOL in urban environments. The aircraft resembles a helicopter and is powerful enough to transport two passengers for about 30 km. They are advertised as being quiet enough, “that at a flight height of 100 m, it cannot be heard over the typical background noise of a city”. In Spring, the startup presented a concept for the infrastructure of an urban electric air taxi. The startup estimates that the technology could be reality in as early as ten years.